It’s a huge disappointment for fans of endurance racing, and a move that puts the future of Le Mans’ LMP1 top motorsports class in jeopardy. But it’s also a decision that further serves to legitimize Formula E and electric racing. The series still has a long way to go to prove it can supply the motorsports drama that fans crave—or that it’s more than just an eco-friendly marketing stunt. In a news release, the folks from Stuttgart called the move a “realignment” that puts its racing operation in line with the future strategy of Porsche itself. The brand, a division of the Volkswagen Group still dealing with the aftershocks of a global diesel emissions cheating scandal, plans to develop a range of conventional GT cars and fully electric vehicles by 2025. The good news is that Porsche’s role in sports car racing itself isn’t going anywhere. The 911 RSR will stay in competition in both WEC and IMSA, the automaker said. That’s a relief. A world without a factory-backed 911 racing program isn’t one I really care to live in. As for the LMP1 team itself, including drivers, Porsche indicates they aren’t fired. The team will be kept intact and seemingly used in other roles, possibly in other series or Formula E itself. It is, however, hellaciously expensive. The Porsche 919 Hybrid Le Mans program alone has had an estimated budget of over $200 million a year, and the WEC’s own contract with the FIA requires two competitors in LMP1—with Audi out and now Porsche too, it’s not clear what will happen to this class, or Toyota’s involvement. With the Volkswagen Group strapped with cash and left with an environmental black eye after Dieselgate, it’s easy to see why this happened. 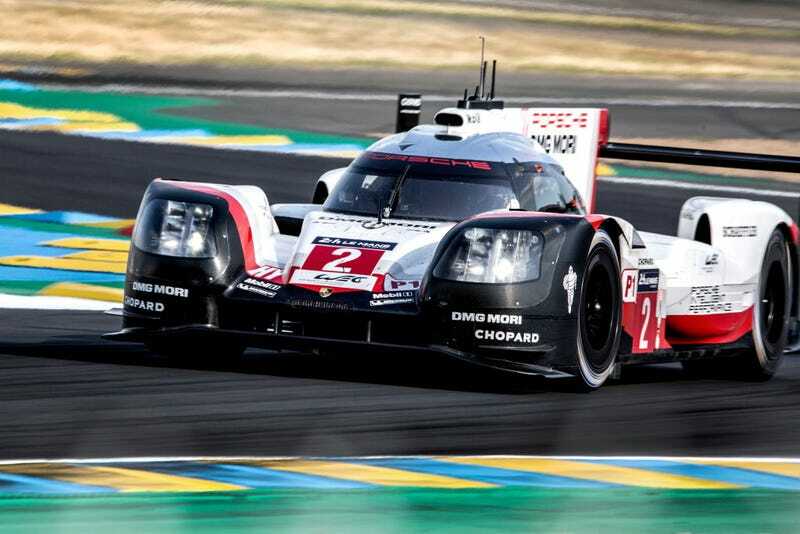 Audi and Porsche exiting Le Mans for the vastly cheaper Formula E racing saves money, looks good externally and ostensibly gives them a platform to further electric car development. But Formula E isn’t anywhere close to being the spectacle that the WEC and the 24 Hours of Le Mans are, so the move feels a lot like moving from a three-story mansion to a cabin in the woods and justifying it by saying you’re trying to save money on your utilities bill.